CB RANGERS Paul Wulff – President, Gary Smith – Secretary, Mike Iscrupe – Captain of the CB Rangers tell about all of the activities and public service that they do. The CB Rangers started as a Citizens Band Radio Club back in 1962 mostly as a social club and grew into a public service organization that does a lot of things such as help with traffic control at parades and events. They now are not on the CB radio band, but have their own radios on their own frequencies. All of the members are volunteers. They are always looking for more volunteers to join them. 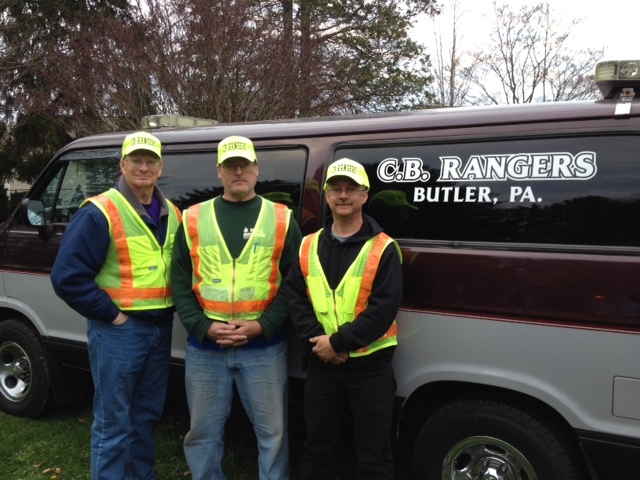 You can contact them at Box 284, Butler, PA 16003 or contact them at http://www.cbrangers.org . This entry was posted in Danna's Radio Diner Archive and tagged Butler PA, Citizen Band Radio, Events, Parades, Public Service, Traffic Control, Volunteers. Bookmark the permalink. I read this post and it’s very useful post. This product is strong. For more information about cb radios .